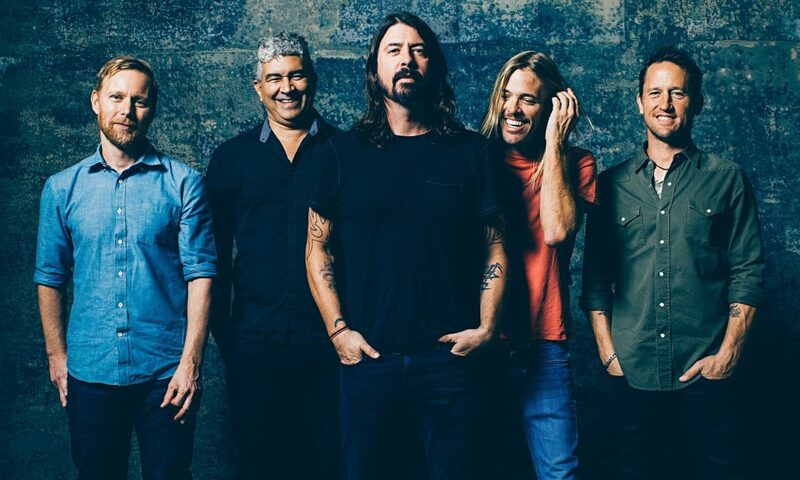 Foo Fighters announce new album, 'Concrete and Gold' + fall tour - GENRE IS DEAD! The wait is now over! The Foo Fighters announced their ninth album, Concrete and Gold, out September 15 via Roswell Records. The 11-track album finds the band working with producer Greg Kurstin, best known for his work with Adele, Pink, and Sia. But that’s not what attracted Dave Grohl to Kurstin. It was his band The Birds & The Bees. “It blew my mind,” he says of The Bird & The Bee’s song “Again and Again”. “It was so much more sophisticated than anything I’d ever heard and I became obsessed.” Working with Kurstin, the band wants to make “the biggest sounding Foo Fighters record ever. To make a gigantic rock record but with Greg Kurstin’s sense of melody and arrangement… Motorhead’s version of Sgt. Pepper’s… or something like that,” Grohl explains. Previously, the band shared new single “Run,” along with a music video directed by Dave Grohl. As if that wasn’t enough, the band also shared fall North American tour dates to support the record. Dates kick off October 7 in San Bernardino, CA and run until December 12 in Salt Lake City, UT. They even announced their own CAL JAM 17 festival for October, which features Queens of the Stone Age, Cage the Elephant, Liam Gallagher, and The Kills to name a few. Tickets go on sale Friday, June 29. Fans who sign up via the band’s website will get access to a pre-sale. Who else is excited for the return of the Foo Fighters?